The Anthem open demo starts tomorrow, and Triple Threat Barrier Puzzle is of the earliest mission available to all the players. Those who where part of the VIP demo will get all four Javelins unlocked for the open demo. 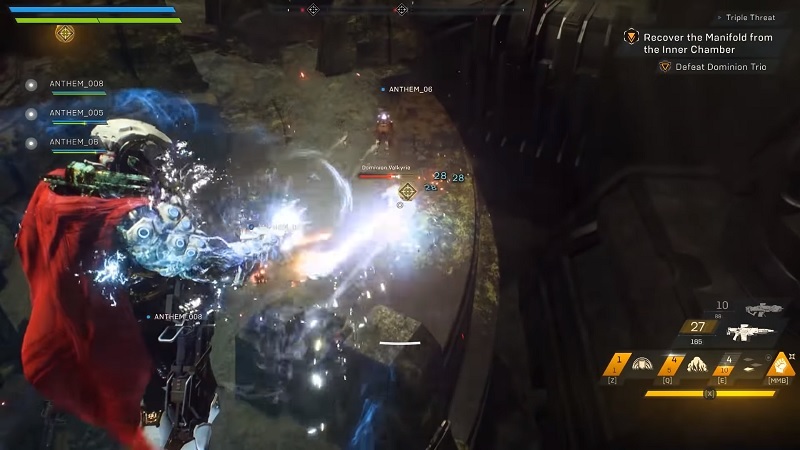 This Anthem puzzle guide will show you how you can solve the Manifold Puzzle Solution. You will be starting the free demo at Level 10 and can progress to Level 15 with all the Javelin styles unlocked. To begin with Triple Threat Expedition, you must first speak with Matthias in Fort Tarsis where he will ask you to bring the Manifold for his research. So head over to the Forge to set up your Javelin and get started with your expedition. You will be facing the Dominion for this Expedition so choose your Javelin accordingly. Follow the marker and start taking down the enemies along with way. Now, look for the crates nearby to scan(check the map for directions). Once are reach close to the create the bar will beep furiously. Once you reach the chamber with three identical flying members of the Dominion, get ready for some real action. Read More: Anthem Full Game – How Will It Be Different Than VIP & Open Demo? Once you defeat the Dominion, head over to the Manifold which is guarded by a barrier and you need to disable it. Manifold Puzzle is nothing but a simple color puzzle and in order to solve them, you must interact with the device in each room. Make sure you keep an eye out of any other color as a clue to be used for the contraption. Starting from the eastern light on the left side of the device’s platform which is back of a pillar. Switch the Solid Blue light to Yellow. The second will be southeastern light(Purplish glow) which is under the bridge leading to the platform. Switch the blinking blue light to Purple. Lastly, the Southwestern light on the wall which is red hue high can be switched from yellow to red. Now that you have unlocked the Triple Threat puzzle, head towards the Manifold to obtain the item and go back to Fort Tarsis, talk to Matthias to complete the mission. 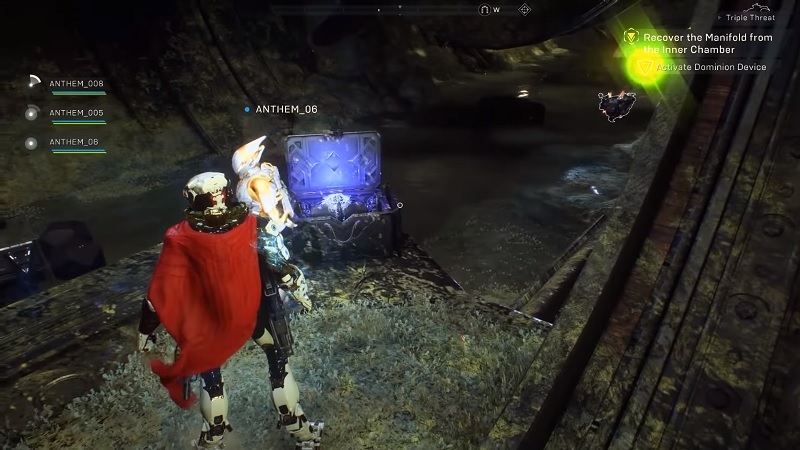 This is how you solve the Triple Threat Puzzle and retrieve the Manifold in Anthem. Make sure you check our other Anthem Tricks, Tips, and Guides. Anthem is scheduled to launch on February 22, 2019, for PC, PlayStation 4, and Xbox One.